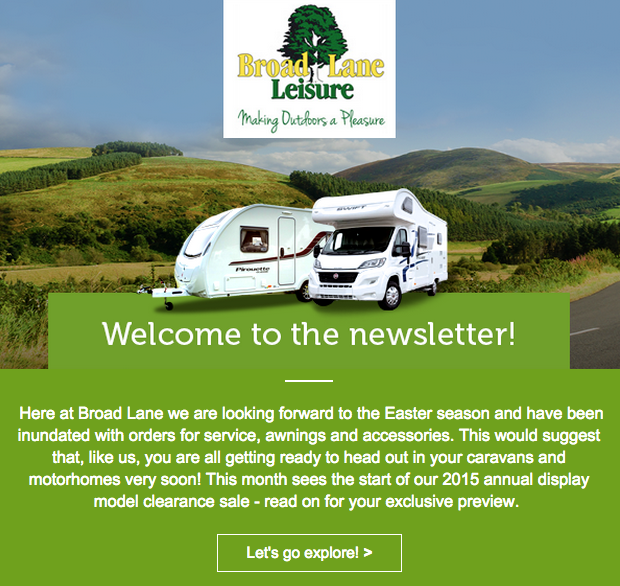 The Broad Lane newsletter provides the latest news, articles, product offers and much, much more straight to your inbox. to enter our prize draw for a Cadac BBQ worth £200! In our Easter newsletter we launched our exciting Facebook competition to win a Cadac Grill O Gas BBQ and announced our exciting new relationship with Coast 2 Coast Campers, offering our customers an exciting range of campers in time for Summer! In the March newsletter we were excited to promote our Open Weekend, running at our Alcester and Kenilworth branches.The weekend marked the 'final' call' for customers to get guarenteed delivery in time for Easter! 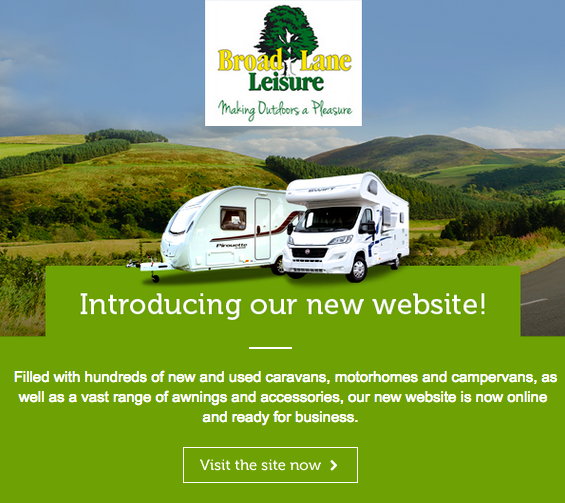 February saw the launch of our newly designed newsletter; promoting our new awning showrooms and cafe as well as our top offers running for the duration of the Caravan, Camping & Motorhome Show.